I noticed I didn't post about it here! But last thursday was my last day at Studio MDHR! During that same day Fan Expo started and Cuphead was there for all to try out! 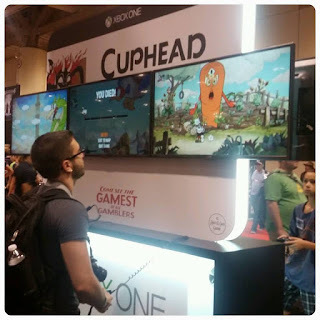 I managed to attend on Friday with two friends and seeing Cuphead in the Xbox area was freaking awesome! Watching people play, enjoy, and talk about it was an absolutely wonderful experience. It was definitely the highlight of my day there and my entire summer. Post E3 and during the summer, the game still felt like a small indie title even after all the press it got (with the addition of a Cuphead mascot at PAX). 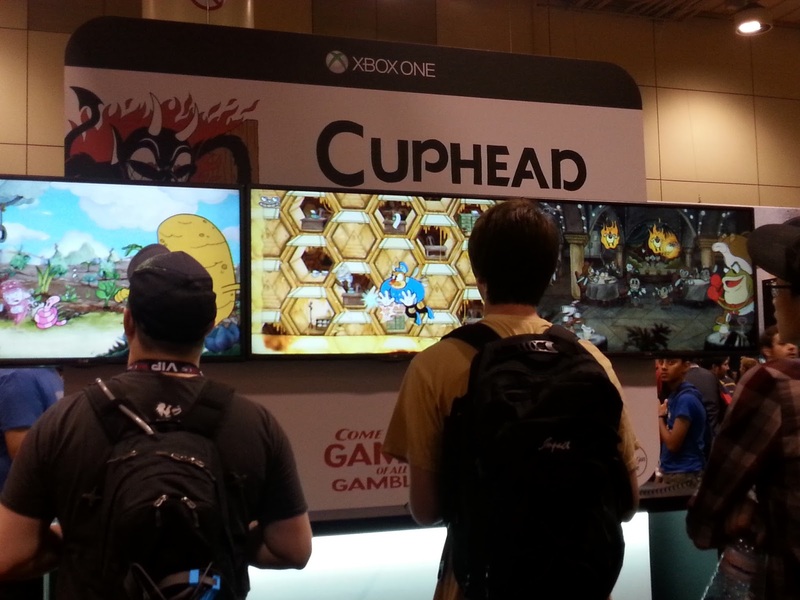 But finally seeing it at one of Toronto's biggest conventions in person and having its own booth under Xbox, it really hit me that this was even bigger than I thought. Not to mention the fan reactions I witnessed which was absolutely wonderful and a dream come true. I've always wanted to be the creator or be a part of something that people have such passion and excitement for. I've always been on the other end of that and finally being part of the creation side was such an amazing moment and a dream that was fulfilled. I am so glad to be part of the team and I hope people enjoy and look forward to its release. One of my friends that tagged along heavily enjoyed the game and I hope everyone will as well! School started again yesterday and I'm back at it for third year! A lot of people also knew about Cuphead and were excited for it and I'm so happy that everyone seems to be genuinely interested in it! Also extremely looking forward to the rest of the year and I'm eagerly awaiting to be assigned a group for the group films next week. Let's see how this year goes, bring it on third year!